So you’ve finally decided to take the plunge and get yourself a brand new set of teeth with dental implants! This is an exciting move and is a wonderful way to restore beauty and confidence to your smile with a perfect set of teeth. Premier Dental of South Orange County has been helping people regain their beautiful smiles through the use of implants for years, and consult with hundreds of patients a year who are looking at the possibility of implants. Dr. Duc Pham can help you determine whether or not Implant Dentistry is right for you, and set you on the path to a renewed and beautiful smile! What Are Dental Implants And Are They Right For Me? Dental Implants are a form of cosmetic dentistry that has been around for millennia, but only in the past hundred years have advancements been made that make them both pain-free, effective, and durable enough to last a lifetime. As the name implies Dental Implants are titanium structures that are mounted into your jaw to hold beautiful prosthetic teeth that are nearly indistinguishable from the real thing. Dental Implants play an important role in preserving the health of your jaw as they keep your jaw from deteriorating and help maintain the natural, full look of your jawline. If you have one or more missing teeth it may be time to consult with your dentist to find out if you’re eligible for dental implants. Don’t live another day with gaps in your smile. 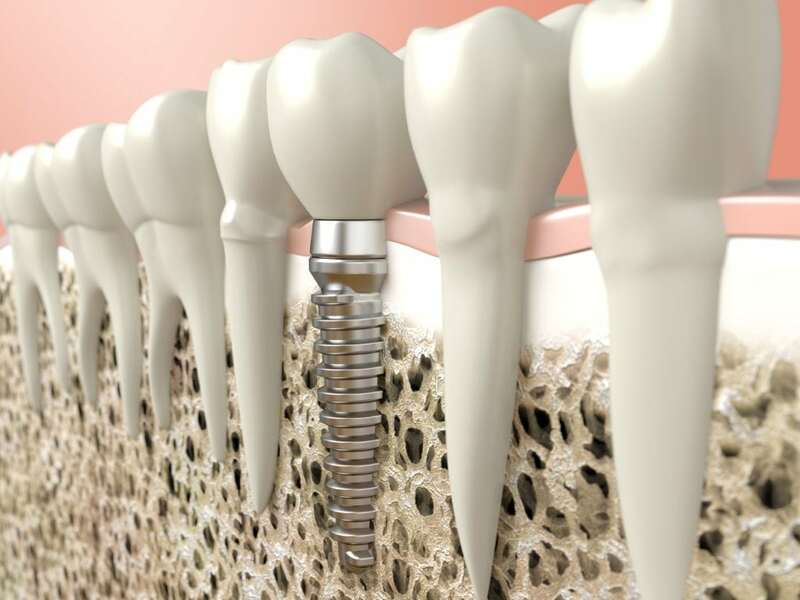 Generally speaking, Dental Implants are made from a special form of prosthetic material that are mounted onto the titanium fixture that’s set into your jaw. The teeth themselves are typically made from ceramic to ensure that your new teeth are both durable and bear as close a resemblance to natural teeth as possible. Ceramics are used for their durability and longevity, ensuring that repairs are either unnecessary or very infrequent. There are a number of factors that can influence how long it takes for the implant procedure to be completed. The first thing to be aware of is that it will take place over a series of visits, rather than a single one. If you have experienced any form of bone loss, especially advanced cases, a bone graft may be necessary to ensure there’s enough material for the implant to hold onto. Needless to say, a bone graft will extend the time necessary to get your implants. In typical cases, the implant will be inserted after a preparatory visit that can include extractions, cleanings of existing teeth, and a general examination to make sure all is in order for the final implant. On the next visit the implants will be put in place and will require 4-6 months for them to undergo a process called osseointegration, where they fuse to the bone. During this time, Dr. Pham will give you special instructions to follow for optimal healing. If you think it may be time to consider implants, and want to discuss what you need to consider on the road to getting them, it may be time to contact Dr. Duc Pham at Premier Dental of South Orange County.